IPS-Cambodia features an extensive array of properties for sale and rent, as well as Property Valuation and Property Management Services. Depending on your specific need and preferences, our wide breadth of listings and services will fit your needs. From apartments for rent, condo and penthouses, villas and commercial spaces, land for sale - just use the advanced search filter to look for your requirements. The first filter will allow you to check either the rent or sale box. This will then filter only properties that are either for rent or for sale. In the Province filter, you have to option of choosing one of the 4 main areas to consider when moving to Cambodia - each offering its own charm and catering to different sets of people. Phnom Penh attracts a lot of attention because this area is where you can find everything - from job opportunities to residential and commercial spaces, international schools, banks, pharmacies, hospitals, markets, coffee shops, bars, and restaurants. There is very little that you need and will not find in the city. 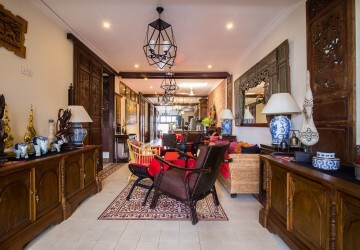 Siem Reap is a popular tourist destination and has a large number of hotels, resorts, guesthouses, restaurants, and commercial establishments catering to the tourism sector, primarily due to its proximity to the Angkor Wat temples. Sihanoukville is undergoing major economic development due to the influx of foreign investment. Whether it’s in the urban areas or in one of the rural towns, the opportunity to invest in this area is very high. Our listing includes the Sangkats in the city where we have available properties for Sale and Rent. Most notable to consider for residential properties are the Russian Market, Greater Phnom Penh and Daun Penh for residential properties. Popular Commercial areas are BKK1, BKK2, BKK3, Tonle Bassac and Toul Kork. BKK 1 is called the “foreign capital” and the the main economic hub of Phnom Penh. Chroy Changva is a residential and industrial district now being developed as one of the few satellite cities of Phnom Penh. Greater Phnom Penh refers to the outlying areas outside of the main urban district. Olympic Stadium is very near O’Russey Market and the Borei Keila community, under the general jurisdiction of 7 Makara. Riverside and Central Market are popular residential and tourist locations that offers a stunning view of the sunset over the Tonle Sap Lake. Russian Market/Tuol Tom Pong is a major expat area popular due to the prevalence of a predominantly Russian expat population back in the ’80s. Tonle Bassac is known for the number of gated communities called “boreys” located within its boundaries. Toul Kork is located in the north and northeast of central Phnom Penh and is very near Daun Penh. Wat Phnom is located in Daun Penh and is known for the number of riverside restaurant areas and the nightlife scene on Street 51. Siem Reap is a province in Cambodia that offers an old world charm. It is rich in history and cultural presence. Our listings will include properties for rent in the popular districts. Depending on your needs, you can choose the commercial or residential districts when acquiring your property. Slor Kram is becoming popular with locals and long staying expats due to its proximity to the city center. Svay Dangkum is primarily a residential area where most of the nice villas are located. Wat Bo is mostly commercial, with a few residential properties, and the home of the famous Wat Bo temple. Wat Damnak is also a popular tourist area comprised mostly of commercial establishments and apartment buildings for long term expats. Sihanoukville is popular for its pristine beaches and islands dotting the coastline. The province is rich in natural resources and is a major tourism hub. Currently, there is an ongoing major development in the province and it is slowly turning into a largely commercial area. Mittakpheap is a major district in Sihanoukville and is one of the more commercially developed areas in the province. Aside from the 3 major provinces, Cambodia has other areas that are worth considering when you decide to acquire a property or settle in the country long-term. Each one offers a different lifestyle and characteristics that distinguish it from the others. Battambang features a range of cultural and natural resources and its fertile rice fields boosts the province’s produce, earning them the title of "Rice Bowl of Cambodia". Kampong Speu is mostly composed of small villages and large tracts of agricultural land. Kampong Thom is the country’s second-largest province and is part of the Tonlé Sap Biosphere Reserve. Kampot is rich in lowlands and has plenty of natural resources. Kandal is part of the greater Phnom Penh Metropolitan Area and ideal for investors that want to live near the city but still feel the charm of living in the countryside. Kep is where the Kep Peninsula can be found. This is a tiny archipelago comprising of 13 islands (Koh), the most famous of which is Koh Tonsay or Rabbit Island. Koh Kong Koh Kong is a province lined with tropical beaches and where the mangroves and waterways of Peam Krasop Wildlife Sanctuary is located. Kratie is known for its beautiful riverside scenery, green villages and paddies, and the famous Irrawaddy river dolphins. Takeo is located in the south boundary that borders Vietnam and is often referred to as the "cradle of Khmer civilization" because the former kingdom of Funan is centered in this region. The Property filter allows you to pick the type of property you want to buy or rent, whether for commercial or residential use. Property Code filter is for clients that already have a particular property in mind and do not want to browse other available listings. This page also allows you to filter the minimum and maximum amount you are willing to invest/pay for a particular property as well as the amount of space/number of bedrooms that fit your needs. Additionally, the Sort filter is added so that you can prioritize by Price or Most Recent Listing available. IPS (Independent Property Services) was established in 2009 to meet the growing needs of International Businesses to successfully locate their staff and business operations in the emerging Cambodian market. Today, IPS is the leading agent in the booming real estate Cambodia market, with three offices in Phnom Penh, Siem Reap, and Sihanoukville and 30 staff providing premium real estate opportunities for international and local clients. 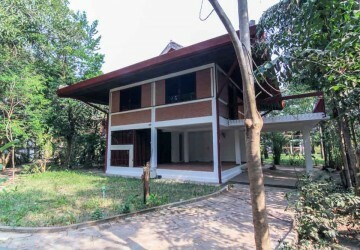 IPS manages condominiums for rent, houses for rent, and apartments for rent in Phnom Penh, Siem Reap, and Sihanoukville. 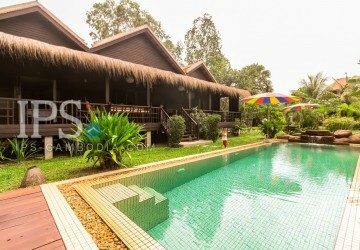 Other properties are also available for rent and sale throughout Cambodia. IPS Cambodia – Cambodia’s Premier Property and Real Estate Company. Copyright © 2019 IPS-Cambodia. All rights reserved.